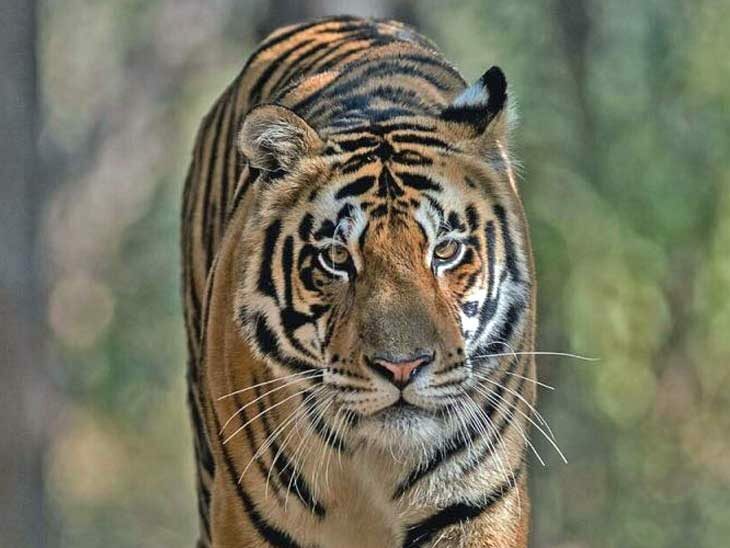 Here are a couple of excellent tips and pointers for your trip to Satkosia Tiger Reservce in Angul District, Odisha, India. Tired of our hectic work schedule, my few close friends and I planned to go on a short holiday. After a lot of discussions, we all planned to go to a wildlife sanctuary, where we could enjoy nature with a bit of adventure. We all have been to Puri but not to Satkosia tiger reserve. So we all planned to spend our weekend, chilling in the lap of wilderness. We planned to book a cab from Bhubaneswar to Puri with an experienced and reliable driver, as none of us was a skilled driver to drive on the long route. A bit of online search and Savaari car rentals came as the top choice. We sent an online message to them and they promptly called us back. The Savaari support executive took all the requisite information from us and suggested a package suited to that. Impressed by their reasonable package and prompt service, we finalised the Saavari cab and waited for our weekend fun. Also, we planned to enjoy the trip and relax throughout the journey without the burden of driving. We decided to book a highly recommended taxi in Bhubaneswar. Our Savaari cab arrived promptly at four in the morning as directed. We all settled comfortably in a neat and clean car. The chauffeur helped us in arranging our luggage. He also confirmed with us on the route he will be taking. We had settled earlier on taking the route via New Jagannath road as it was more scenic and we also wanted to enjoy the sunrise views on our way. Early morning views here, were breathtaking. We stopped at many places along the way to admire the serenity and to take some memorable group pictures. Our driver made sure we reached the Satkosia Tiger reserve by the pre-decided time. We were impressed and comforted by his deft driving. The drive from Anugul to the reserve was fascinating. We even caught a glimpse of a herd of deer and a Chital. We reached the reserve and obtained permission to enter the reserve. We had planned to stay at the eco-tourism tents at the reserve and done the prior booking accordingly. The two days away from city hustle-bustle and mobile phones was like a detox from fast city life. Satkosia Tiger Reserve was at a gorge cradling the Mahanadi river and had a plethora of sightings for the nature enthusiast in us. The stunning water offered a beautiful sight to us and we couldn’t truly appreciate the grandeur of the landscape surrounding us in words. There were colourful tents along the river bank, as this was an eco-tourism reserve. We stowed our belongings are ventured off for the safari. The tiger reserve had many animals including two endangered crocodile species- the Gharial and Mugger, along with the elephants, deer, leopard, and the tigers. The place was hot by noon, so we jumped in the cool river water for some fun and relief. After a cool swim, we had some lunch. The evening was relaxing, with us sitting and enjoying the evening sun and a beautiful view of fishing boats returning. The silence and just the chirping birds giving us company felt like paradise. There wasn’t much to do in the evening or night, but few bikers from neighbouring camp/tent entertained us with their travel stories over a bonfire and dinner. The soft sounds of the river, lapping on the bank was soothing. The star-studded clear sky was breath-taking from our open beddings. The next day, we had planned to embark on the forest trek with a guide to see some birds and enjoy the tranquil forests. We were blessed to see some beautiful birds. Again, as the day got hot, we went back to the river for a swim. After the swim, we packed and started our trip back to our home, reluctant to leave the forest and the river. There are numerous cab services to Puri, which one can book offline or online. Savaari offers the best services in the industry with economical and affordable prices, easy to understand transparent billing system, zero cancellation charges for the customers, cabs/taxis in different sizes, trained and road-expert chauffeurs, and clean cars. Savaari car rental’s doorstep pickup and drop service for the passengers is also an added advantage. Their drivers are courteous and knowledgeable, provide all information to the passengers and ensure the safety and comfort of the passengers throughout the journey. The distance between Bhubaneshwar and Puri will vary according to the starting point in Bhubaneshwar. The approximate distance between Bhubaneshwar and Puri is 60 kilometres and it takes around two hours to reach Puri. Please share you best tips for visiting Satkosia Tiger Reserve in the comments below, on Twitter, Facebook or Instagram. I am very much looking forward to hear from you!